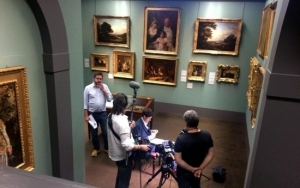 The four-part BBC Four series ‘The Story of Scottish Art’ traces the importance of Scottish art from Neolithic times to today covering its impact internationally over 5000 years. 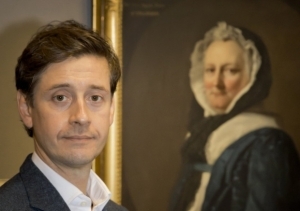 Acclaimed Scottish artist Lachlan Goudie will uncover innovations and developments of Scottish art through the centuries in both a global context and as part of the social and political history of Scotland. In his pursuit of tracing Scottish art through the centuries Lachlan embarks on a journey across Scotland and in to Europe to see the oldest sculpted human figure in the British Isles and to discover how the classical influence of the continent inspired a dazzling artistic landscape amongst Scottish artists. He’ll also explore how Scotland’s artists challenged traditions and revived Scottish Renaissance in the visual arts. This ground-breaking series provides an enlightened view on Scottish art, as seen through the eyes of one of Scotland’s up and coming artists of this generation. 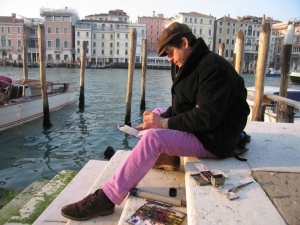 Throughout the series you’ll gain an insight into Lachlan’s own work with him painting and sketching as he travels widely in Scotland, as well in France and Italy. 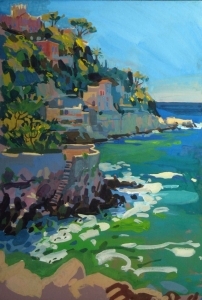 Lachlan Goudie is hosting a painting holiday in the South of France. The little coastal town of Collioure is on a beautiful stretch of the Mediterranean and has inspired many artists including the first Fauves and later Dali, Picasso and Chagall. Collioure is a favourite painting location of Lachlan’s and he invites intermediate students to join him here. 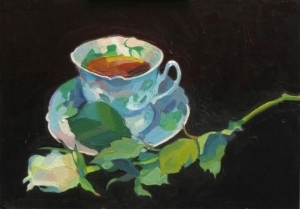 Lachlan will be working in gouache and watercolour but all mediums are welcome.